In order to allow your home to make a great first impression, you need to spruce up the yard. Trim the lawn, cut back hedges, and re-seed where it’s needed. Simple planter boxes, gardening plots and bordered flower beds can make a big difference in your yard. These projects can be completed in a handful of afternoons, and can add great value to your home. Adding a fence, especially around the back yard, will attract buyers with pets and kids who would otherwise shy away. 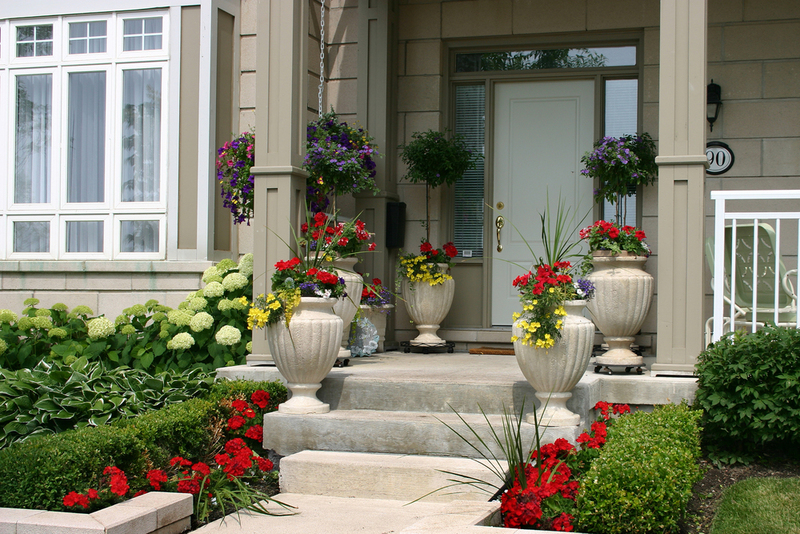 On the topic of landscaping, if you want to add an aesthetic appeal to your home that gives it some pop, rather than just have it be like any other boring house on the block, then using flowers is a great option. Flowers add a natural boost of color that give your house personality, and also make it easily customizable. Add flowers by using planter boxes to attach to the side of your house, or by making traditional flower beds in your yard and around walkways. Young flowers are highly affordable when you go to a local greenhouse. One major maintenance concern for inspectors and buyers alike is the condition of the roof of your home. A faulty roof can let in moisture that damages the entire structure of your home, and curly, worn shingles are a red flag for buyers. On top of that, a nice and newer roof gives the impression that everything underneath it is in good condition. Obviously, a rugged looking roof makes you wonder if the components are working underneath. If you’re buying or selling a home that’s behind on maintenance, the roof is one of the most important repairs you can make. A good dose of elbow grease can add as much a shocking amount of value of your home. Rid the exterior of dirt, mildew and other debris. Clean the windows inside and out, and clear the yard of any clutter. More so than adding value, what this is doing is preventing the negative thought patterns and attention that a big mess creates from impacting a potential buyer or renter’s opinion in your home. You’ll be surprised at what a big difference a simple cleaning can make. 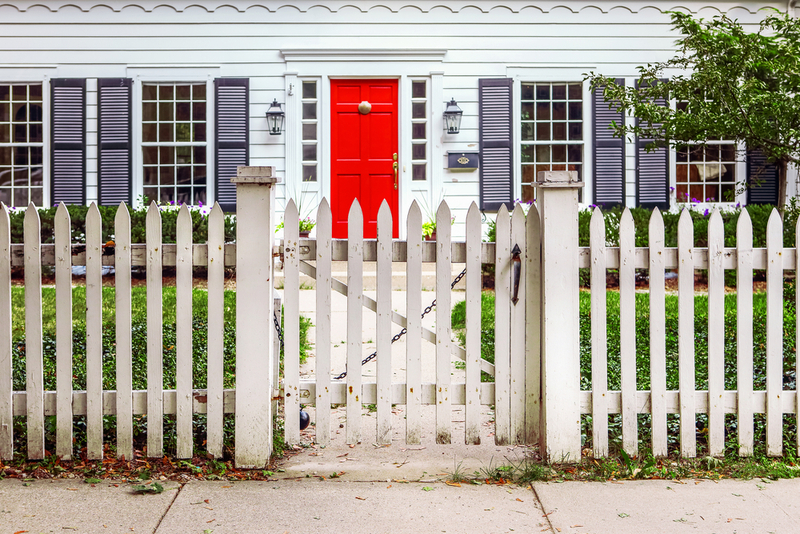 To take your home’s exterior facelift to a whole new level, consider adding a new coat of paint. If you’re planning on selling your home, stick with a neutral color that will appeal to a wide range of people. The least expensive way to get the job done is to re-paint in the current color. 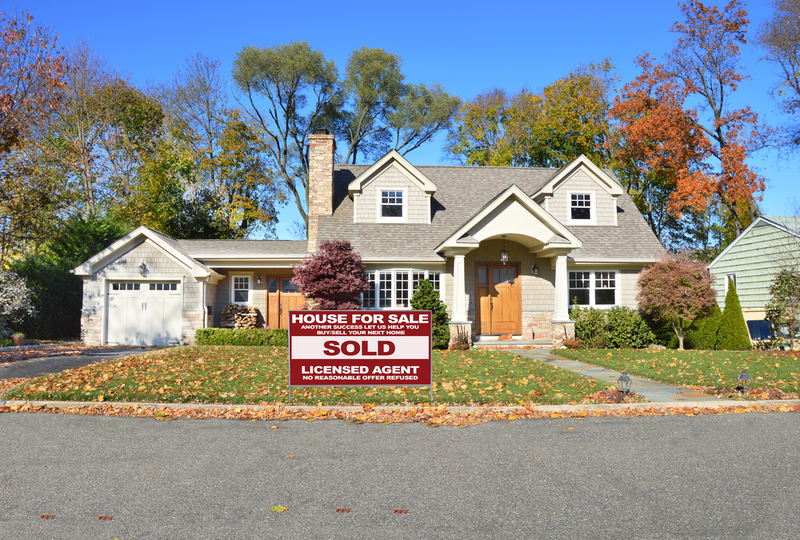 If you’re spicing up your new home, feel free to go with whatever bold color suits your fancy, but keep in mind that you may have to tone it down when it comes time to sell. You want to keep your house appealing to a wide range of people, while still helping it to stand out in the minds of those who come to see it. Adding a splash of color or two in non-permanent details is a great way to accomplish this. A flower bed with pretty red tulips is something everyone loves. Brightly colored sail shades over the patio are beautiful and easy to change. Another big aspect of your home’s viewable exterior area is the garage door. It can be easy and affordable to make some small changes that heavily improve the aesthetic of your garage door. Here’s a helpful article with some ideas on how to accomplish that.